"All the time in your heart you must remember the name ‘Radhey Shyam’ or ‘Radhey Radhey." My question to you is, should I do the same and chant "Radhey Radhey" instead of the maha mantra or does it not make a difference? Also, what does Radhey Shyam mean? Is Shyam a name of Krishn, like Govinda? Answer: Practically speaking, you can chant anything that helps you remember Radha and Krishn. There is no strict rule about what name to chant. 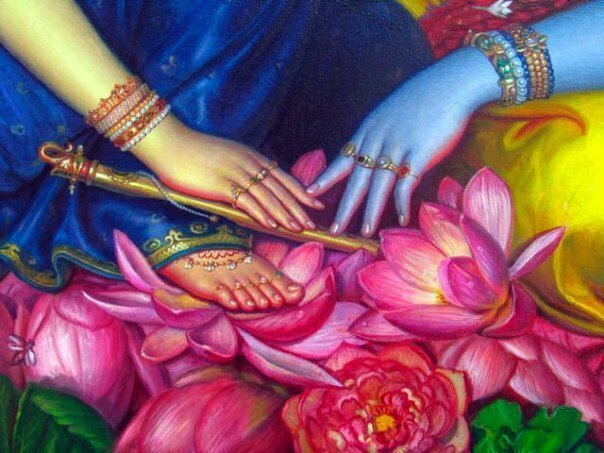 In JKP, we do devotion to Radha Krishn, and we desire to attain Their Divine love. They are the most loving form of God. It is a natural phenomenon that you are likely to think about the one whose name you are saying. 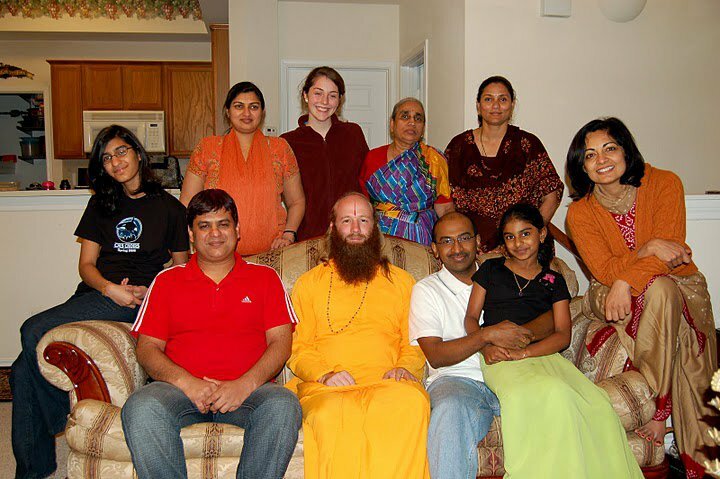 When you chant the name "Radhey", you are likely to remember Radhey, so you will attain Radhey. When you chant the name Ram, you are likely to remember Ram, so you will attain Ram. Thus, you should chant the name of the form of God you wish to attain. Regarding the Hare Ram maha mantra, it contains the names of Krishn, Ram and Vishnu and can be used for devotion to any one of Them. In JKP, we do many chantings with the different names of Radha and Krishn, and we also chant the Hare Ram mantra. When I am quietly remembering God's name throughout the day, sometimes I like to chant the Hare Ram mantra too. But most of the time I say either 'Radhey Shyam' or 'Radhey Radhey'. The reason is that it is simpler and also, it can be done with the breath which helps. You can say "Radhey" on the inhalation and "Shyam" on the exhalation (silently in your heart). Or you can say 'Ra' on the inhalation and 'dhey' on the exhalation. Both work very well. The effect is very deep and immediate. This is something which Shree Kripaluji Maharaj emphasizes a lot. He says it is important to do this throughout the day as much as you can. This helps to maintain a remembrance of Radha and Krishn so that your devotion continues throughout the day, even when you are working. Shyam is a name of Krishn, just like Govind. Shyam means the one who is dark complexioned. Shyama is a name of Radha, which means the one who is with Shyam or belongs to Shyam. Of course, along with remembering any name of God, it is most important to do roop dhyan. The power of the name for the most part remains dormant unless we also visualize the form of God whose name we are taking. You can see the form of Radha Krishn in whole or in part. You can visualize any part of Their body, and you can even have an interaction with Them. Feel that They are close to you, even if your imagination of the visual form is weak. And feel that They are yours and you belong to Them. مما لا شك فيه ان وجود الحشرات بالمنزل امر من الامور التى تعكر صفو الحياه وتجعل المكان ملئ بالطاقه السلبيه التى تؤثر عليك وتجعلك لا تستطيع العمل او الدراسه او العيش حتى وان القضاء عليها لامر فى منتهى الصعوبه التى لا تستطيع ان تفعله بمفردك دون مساعد عزيزى العميل اذا كان لديك حشرات من اى نوع طائر ( كالذباب والناموس وهكذا ) زاحف ( البق والسوس والفئران والنمل الاببيض والثعابين وهكذا ) او طائر وزاحف ( كالصراصير واليرقات وهكذا ) ولا تسطيع التعامل معها تواصل معنا شركة مكافحة حشرات بالقطيف على الفور لتجد افضل خدمة رش مبيدات بالقطيف نحضر فتتم المعاينه فيتم احضار افضل طاقم عمل مدرب ومجهز على اتمام اصعب العمليات مع القضاء على الحشرات على اتم درايه بالتعامل مع كافة الحشرات مهما كان عددها او نوعها او درجه خطورتها فيوجد الحيونات السامه والحيوانات غير السامه كل هذا سوف تجده لدينا نحن فقط شركة رش مبيدات بالقطيف لان لدينا افضل المبيدات الحشريه التى تعمل على القضاء على الحشرات نهائيا وبشكل غير قابل للعودة حتى نطمئن على صحتك وصحة اسرتك وصحى فريق العمل الخاص بك او نزلائك وعملائك اذا كانت شركة او فندق او باعتك اذا كان مخزن وهكذا عزيزى العميل نستيع نحن شركة رش مبيدات بالقطيف بالتعامل مع كافة الاماكن المصابه مع عمل الزيارات الدوريه التى تضمن لك عدم وجود حشرات فى المستقبل .